Before his death, Ogunjobi tried twice unsuccessfully to get back into the NFF board as president, but on the two occasions he lost to the incumbent Amaju Pinnick, first in Warri in 2014 and later in Katsina last year. Apart from his sterling role as a member of the NFF board, Ogunjobi played a prominent role in the development of Nigeria’s club football. An ebullient and respected football administrator, Ogunjobi captained the first set of Nigerian academicals to defeat the Ghanaian academicals in the early 1970s and was a key member of then IICC Shooting Stars FC of Ibadan before he travelled to the United States of America for further studies. This was the reason he was not part of the IICC’s Africa Cup Winners Cup –winning squad of 1976. He returned to Nigeria a few years later, and was a member of the young Green Eagles’ squad that Chief Adegboye Onigbinde coached to win the silver medals of the 1984 Africa Cup of Nations in Cote d’Ivoire. 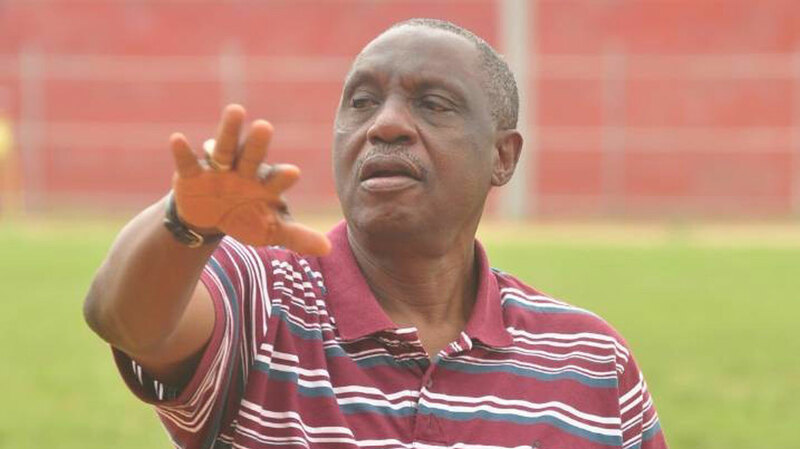 From his days as General manager/Chairman of Shooting Stars Sports Club (3SC) under the military administration of late General Abdulkareem Adisa, to his tenure as NFA scribe, the late Ogunjobi was able to prove his worth as an accomplished sports administrator, leader, great motivator and mobiliser, as well as excellent manager of men and materials. Known by his friends as “Skippo,” he was the captain of the former IICC Shooting Stars that dominated the Nigerian football scene in the late 1970s and early 1980s and won two continental championships. The Ibadan-based football club is now known as the 3SC Football Club.He featured as a player for Shooting Stars when the club was called WNDC. He later captained the club to the final of the then Africa Cup of Champions (now CAF Champions League) in 1984. He captained the first set of Nigerian academicals to defeat the Ghanaian academicals in the early 1970s. He later travelled to the United States of America for further studies.His impressive display for Shooting Stars in 1984 earned him a call up to the national team. After his playing career, Ogunjobi went into administration and served as a secretary at his former club Shooting Stars. From the secretary, he rose to become the General Manager of the club and then the sole administrator, leading 3SC to win the maiden CAF Cup in 1992 under difficult circumstances.The Guardian recalls that the 1992 CAF Cup was the first football tournament for the runners-up in member countries’ domestic leagues. Shooting Stars won in the two-legged final against Nakivubo Villa. The journey to the final was rough for Ogunjobi and his squad. The Ibadan warlords drew bye in the first round, and in the second round fixtures, defeated USC Bobo Dioulasso 4-1 on goals aggregate. The played 1-1 away and hammered the visitors 3-1 in Ibadan.In the quarterfinal, Ogunjobi, whose tenure as general manager enjoyed cash flow from the late General Adisa, defeated Mbongo Sport on penalty shootout. In the semifinal, 3SC was pitched against CA Bizertin, a North African club. 3SC suffered 2-0 defeat in the first leg, and on their way home, five of their key players disappeared on the street of Rome. It was enough to demoralise the club, but a never-say-die Ogunjobi was able to manage the situation successfully. At that time, one of the nation’s best left-wingers, Felix Owolabi had retired from active football and was a member of 3SC coaching crew. But Ogunjobi persuaded him to come out of retirement to help the cause. It turned out to be a blessing, as Owolabi provided the last goal for 3SC to triumph 3-0 against CA Bizertin at the Lekan Salami Stadium. Ogunjobi was carried shoulder high by supporters of 3SC shouting ‘up skippo, up skippo,’ as they danced around Adamasingba celebrating the victory. 3SC went on to defeat Nakivubo Villa 3-0 in the final played in Ibadan after a 0-0 draw in the first leg. Ogunjobi later became the president of Gabros International FC in Nnewi and also had a stint as the General Manager of Lagos-based club, Julius Berger. That was his last club assignment before he took his managerial skills to the nation’s football house. Reacting to the news yesterday, Sports Minister, Solomon Dalung said, “I saw him last year prior to the NFF elections. He came to personally inform me of his intent to contest the NFF presidential elections. Former Sports Minister, Bolaji Abdullahi described the Osun FA boss’ death as ‘’shocking and a great loss to the country, especially at this time when we require his expertise and experience the most.’He recalled that the Late Secretary General of the NFA was a man who embodied the spirit of Nigerian football, having served meritoriously in various capacities in football administration over the last three decades. Abdullahi said: “The Late Ogunjobi was very resourceful and one of the few Nigerians who I could say lived for sports as he was involved in all aspects of the game. Ogunjobi was indeed Mr. Football and contributed greatly to the development of the game in Nigeria.